It's been a year since the G20-summit took place in Hamburg -- and the next meet and greet for warmongers, authoritarian leaders and cold neoliberals is drawing closer: This year's summit will take place in November in Argentina. Since 1999 the heads of the most powerful and richest nation states meet once a year to make decisions for the whole world. But one thing is certain - the results of this expensive spectacle in Buenos Aires will be as poor as the ones from Hamburg. Nothing will be agreed upon. Nothing, that is, that would in any way help to overcome global inequalities or injustices, nothing that could end the climate crisis or end the gory wars. No surprise here, since it's Capitalism as represented by the G20 themselves, that is responsible for the current state of the world. On top of this, international summits are always summits of repression, crowd control and securitarianism. To shield state visitors from any kind of protest, more than 30'000 police officers were on duty in Hamburg. Within a range of 38 Square kilometers in the center of a metropolis, any kind of gathering was prohibited. For the sake of scaring off protesters and with a focus on the state leaders and their delegations, fundamental rights and the freedom of movement of Hamburgs inhabitants were ignored. Many inhabitants can't forget the never ending sound of the helicopters circling the city's skies day and night. During the summit, the police chose an escalation strategy. Camps were rounded up, demonstrations attacked with massive violence. Countless protesters were badly injured and on several occasions it was only luck that no one got killed. In the aftermath, police, politicians and parts of the media told the events their way - turning them upside town and separating them from the bigger political context. Olaf Scholz (SPD, at the time mayor of Hamburg, meanwhile vice chancellor) spread the brazen lie that "there had not been any police violence". The manyfold documented police crackdown is left unpunished, most investigations got suspended. In the meantime, people who allegedly threw empty bottles have been called terrorists and become an object of public manhunt and are being kept in custody for months and sometimes even imprisoned by a partisan justice system. The G20-protests are not the cause for the growing militarisation of police force, surveillance, and rigid laws. They are an excuse: Bavaria has recently tightened their police law despite massive protests, Saxony, NRW and Lower Saxony intend to follow suit. The G20 protests didn't only bring traumatising experiences of repression - on the contrary, we have lived through empowering days and positive moments of community. In many parts of the city, solidarity truely became practical: When the camps were illegalized, churches, the Schauspielhaus, the St.Pauli-Stadion and many inhabitants of Hamburg sheltered the activists. At the "summit for global solidarity", thousands of people discussed, how a different, better world beyond global capitalism could look like. And we were on the streets together. For almost a week, they belonged to us: We partied, danced, demonstrated despite bans, blocked the konvois of Trump and others and were almost 80'000 people at the final march. With this feeling of community solidarity we want to be present in the city this year. We still stand for solidarity beyond borders, against racist segregation and for save passage. Against the war of Turkey on Kurdistan. Against the interests of the coal and car industries and for climate justice. Against the sellout of our cities to investors and for humane living standards for all. 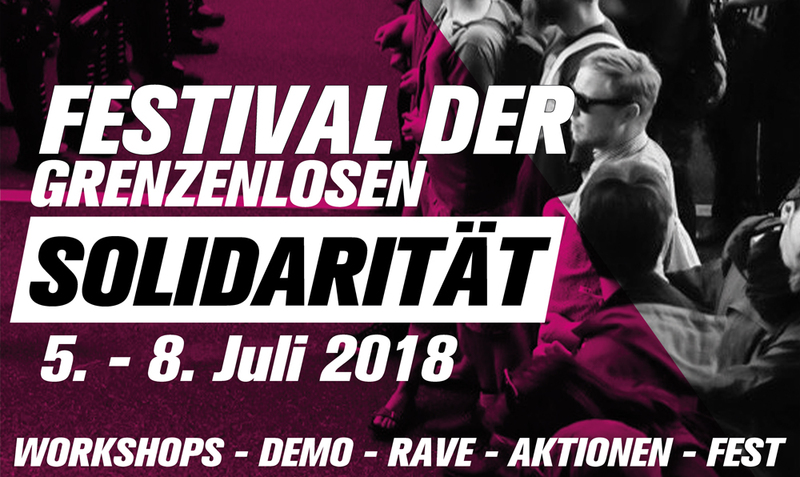 One year after G20 we stand united against repression. We demand the end of political of protesters and the immediate release of those who are still behind bars. Instead, we demand consequences for the politically responsible for the escalation strategy of the police: the "red-green" senate. Especially we demand an immediate sacking of Hartmut Dudde, the security officer-in-charge and of Andy Grote (SPD), interior senator. United we stand against any further tightening of police laws, the expanding surveillance state, and the continuous hollowing out of democratic rights. Democracy does not come from above. Democracy isn't born at a summit of the richest and most powerful states. Against the arrogance of power we count on the solidarity of the many - in Hamburg, Munich, Düsseldorf, Rojava, Buenos Aires or anywhere.